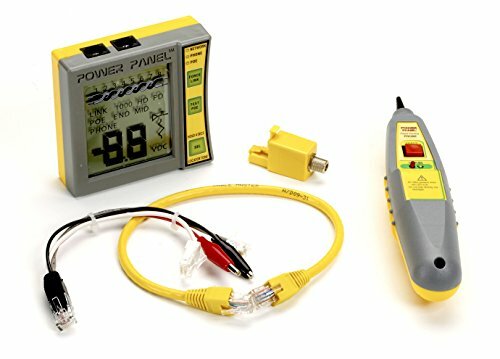 The Power Panel also acts as a tone generator and can be used along with the included probe to locate cable runs. The probe includes an ultra-bright LED tip, volume control, voltage indicator, and filtered circuitry to eliminate fluorescent hum. The large LCD screen displays advertise speed, duplex, and wiring pairs of network devices; PoE information (voltage, pairs used, power draw); and voltage and pairs used by phones. Can be installed inline with PoE devices to monitor power draw of active devices.